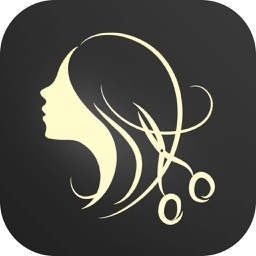 Salon Manager by SalonTechnologies, Inc.
#Salon Manager is available with a 30 DAY FREE TRIAL, then on the monthly basis auto-renew subscription for USD $19.99. 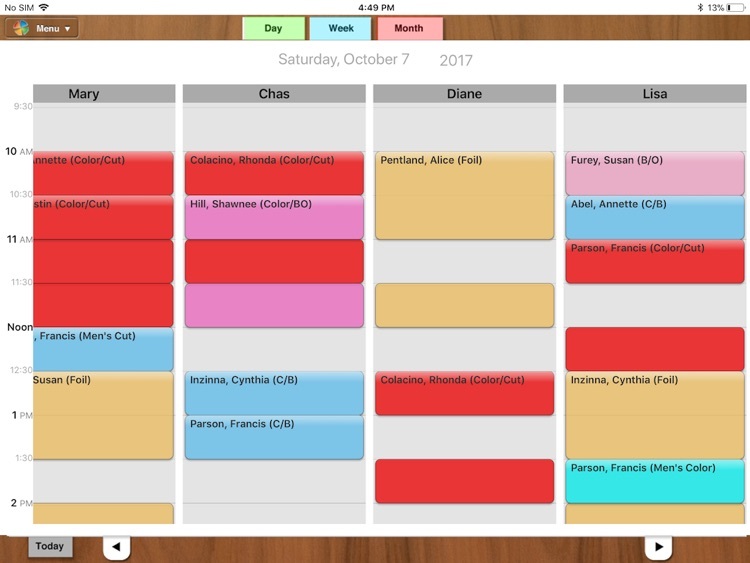 Time to clear your front desk of bulky computers and printers or multiple scheduling books and manage your salon from your iPad. 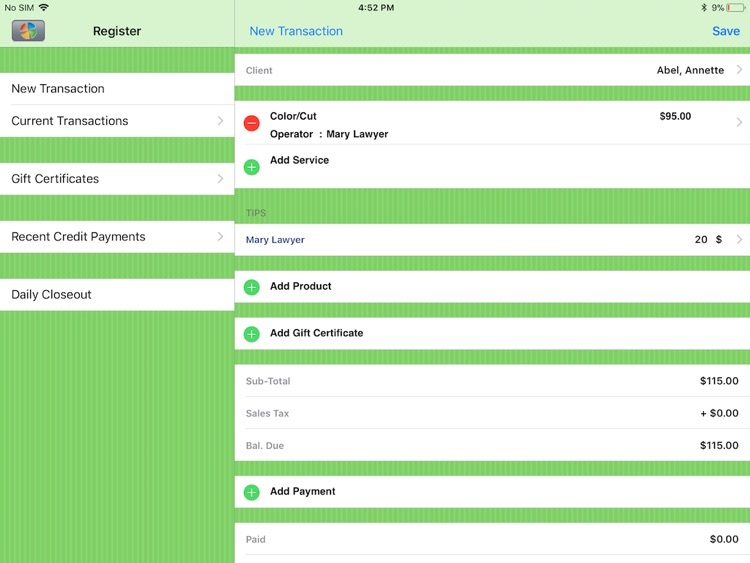 Salon Manager app for the iPad is just like our PSA app but designed for multiple operators with the tools needed to manage your clients, appointments, color formulas, products, services, point-of-sale and financial reports. Email your reports, email appointment reminders, birthday and anniversary greetings. 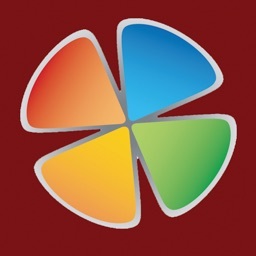 If you like our app, please support us by writing a review. 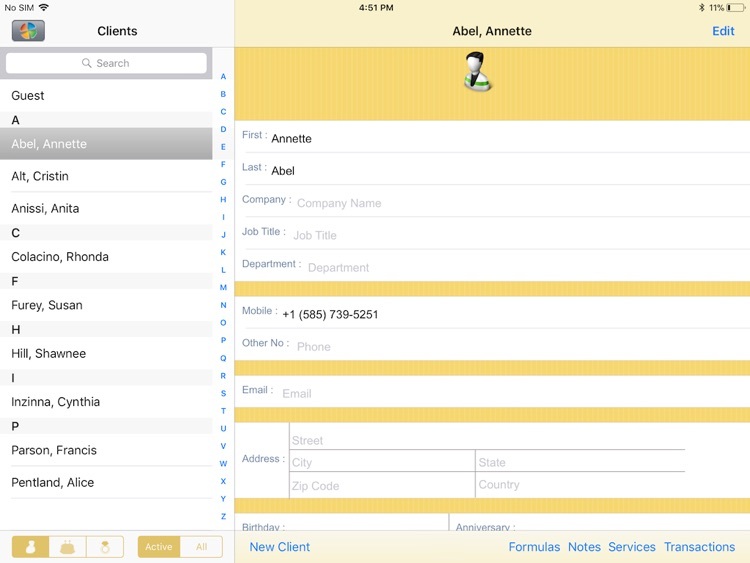 -View and save client information, past and future appointments, formulas by date, photo, past transactions and Notes. -Double Booking lets you book chemical services with a gap to work multiple clients during processing times to maximize your time as efficiently as possible. The most customizable double booking available. -Standing Appointments allows you to schedule your regulars for any time period you wish. -Set your booking to either 15 or 30 minute intervals. 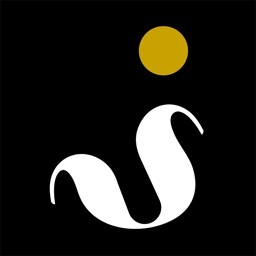 -View the entire salon in the day view or individual stylists in the week or month views. -Block Out any period of time, even entire days especially when you’re on vacation. -Our Patented Hair Color Formulating System will calculate a hair color formula automatically, including step-by-step instructions, amount of color and developer to use, and processing times. Be more efficient, less product waist, fewer color corrections. -For those color experts; you can just select ‘Custom’ and enter your own formulas which will be saved in your clients’ information page by date for quick viewing. -Pull up your clients’ last formula, make changes and then save it again by date. -Formulates for the top 16 color companies: Alfaparf, Aloxxi, Aveda, CHI, Goldwell, Koleston, Logics, Majirel, Matrix, Paul Mitchell, Pravana, Redken, Schwarzkopf and Vero. More color lines to come. -Checkout clients from your Register. Accept cash, credit, checks, gift certificates, coupons. You can do partial payments from each. -Add additional products and services to each transaction. -When checking a client you can also add multiple services from multiple operators for multiple clients and add separate tips and all the information will go to the individual stylists reports. This is great when checking out a family. -Manage the purchasing and use of gift certificates. -Daily closeouts keep track of your financials. -Email receipts after accepting payments. -Create your own products and services. -Organize them into groups for easy reference. 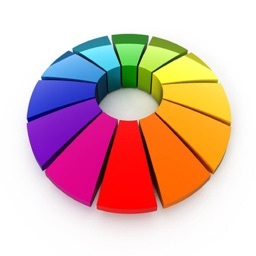 -Services are color coded and customizable for viewing on the calendar. -Formatted for view on your device. -Formatted and Emailable for larger print viewing. -Reports include closeout history, closeout totals (consolidated), product history, product inventory, and complete transaction history. 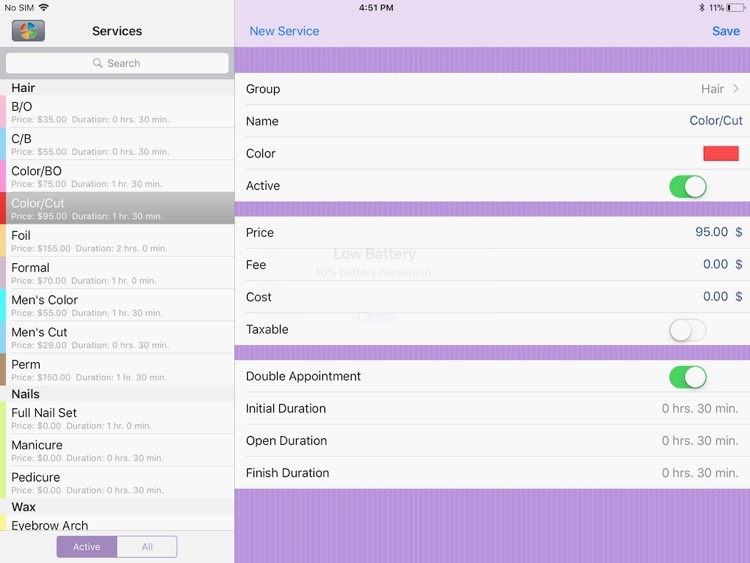 -Reports can be generated for the salon or the individual stylist. 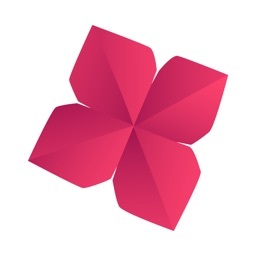 - Our first update will include backing up through iCloud, adding a second tax rate for those in Canada, England and Australia, and 15 and 30 minute numbers added to schedule.